By the initial Fourth Grade teacher conference you mostly know what you’ve got. In our case, it’s a good student who could be a very good student if he developed discipline or a work ethic. But we who live in glass houses shouldn’t throw stones, and since I don’t want to break my own windows or menace our good student with rocks, I’ll let Big Brother skate until I can show him a better example, or learn to revel in my own hypocrisy. Either way would work. Kindergarten teacher conferences are harder to predict. The little diamonds are still in the rough. 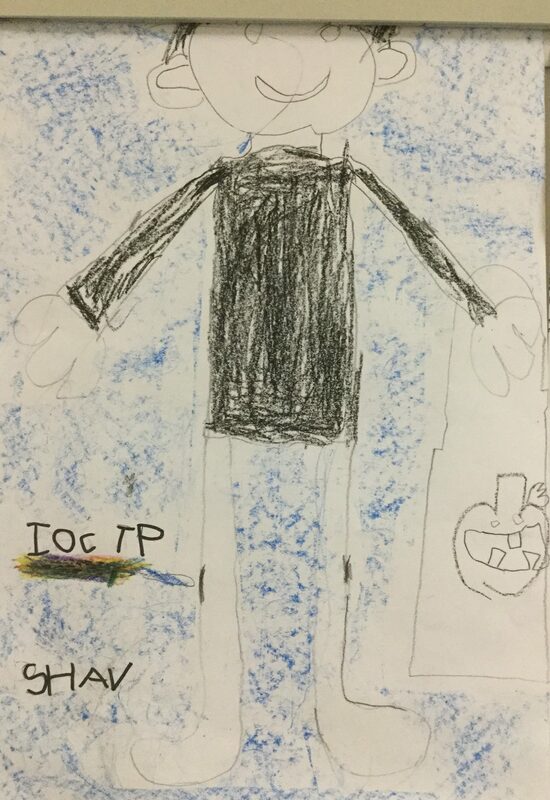 It’s too early to know what type of diamond/quartz/shiny shard of glass Buster will turn out to be, but that doesn’t mean it’s too early to critique his Kindergarten artwork. This piece took my breath away. The sentiment was so sweet. The tear I was about to shed was choked by a revelation. He doesn’t know what “thankful for” means. He thinks it’s an alternate way to say “mad at.” I shook off this terrible notion. Of course he knows what it means. They would have talked about it in class. All the other kids are thankful for appropriate things; so is he. 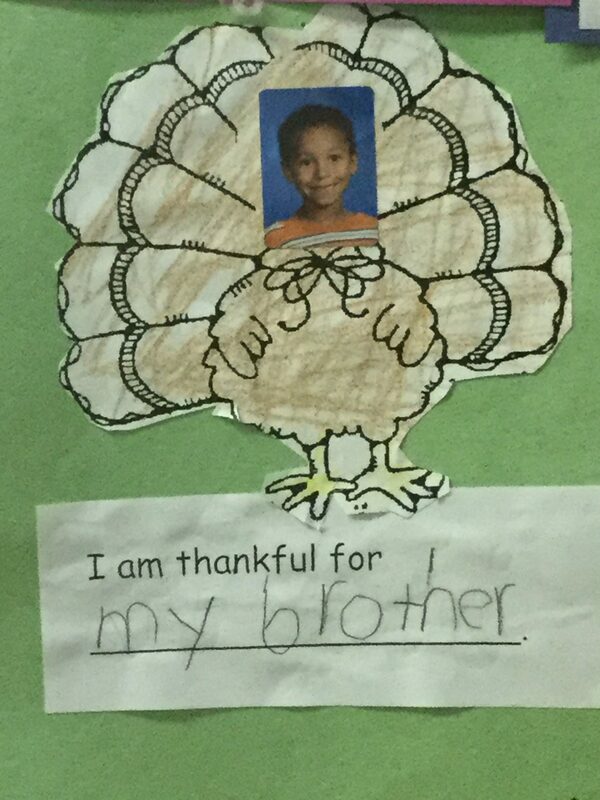 He’s truly thankful for his brother. What a charming boy! Now there’s only one minor difficulty. Did he mean to make it plural? Probably not. It’s strain enough being thankful for one brother. Being thankful for both is a bridge too far. No child should be held to that standard. No. These kids are the worst at keeping secrets when you’re trying to divide and conquer them. We’ll just pencil in an s at the end of brother before anybody sees it. That way, the only people who will have to wonder are his parents. We won’t puzzle over the mystery of the exalted brother too long. If we had a dog, neither sibling would have made the cut. I’m not sure how they’d fare against a hamster. Portrait of the artist as a trick-or-treater. Self-portraits always give good insight into the Kindergartener’s mind. I know this is a self-portrait because the subject is carrying Buster’s Halloween bag. The scabs on the knees offer secondary evidence. The letters may indicate he is covering his knee wounds with International Olympic Committee Toilet Paper and he plans to shav[e] his legs. More likely he is following in the footsteps of Michelangelo, who, as every schoolboy knows, liked to practice making his letters on the peripheries of his paintings. I wish the top weren’t stuck behind the wall bracket. I like to see how kids depict their own hair. That’s disappointing, but it doesn’t detract from the significance of this masterpiece: whatever this kid’s strengths and weaknesses may turn out to be, he draws a killer jack-o-lantern. Click here for a flashback to the critique of Big Brother’s Kindergarten artwork. As I pick through the bottom of the barrel remnants of my kids’ Halloween candy, the little clock in my head (adjusted backward one hour to Eastern Standard Time) tells me it’s time to start feeling thankful for stuff. 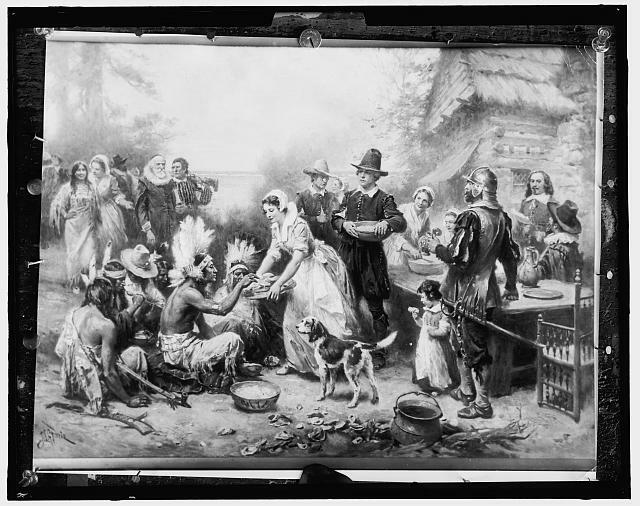 In America, when you reach the dregs of Halloween candy, it’s time for a little Thanksgiving. If Thanksgiving is about one thing, that thing is turkey, and also football. But Thanksgiving isn’t about just one thing. It’s about many things, like awkward dinner conversation with extended family, finding that one morsel among the cornucopia of foods your picky preschooler will eat, and, increasingly, college basketball. The latter means Thanksgiving is also about negotiation with crazy people who believe the holiday is family movie time. 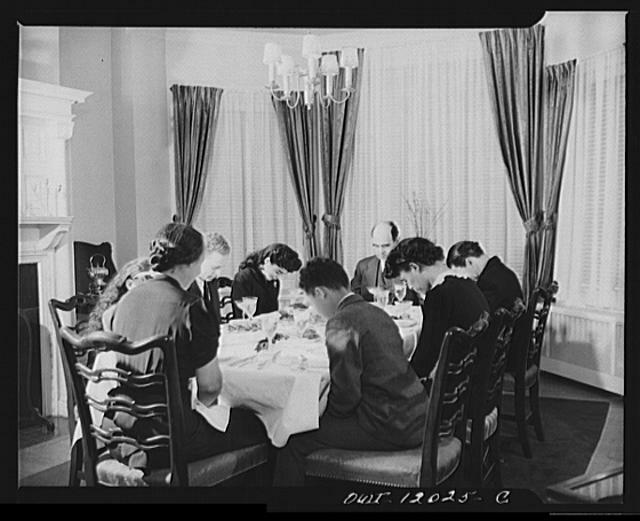 Beneath all this important stuff, Thanksgiving is also, in a tertiary kind of way, about giving thanks. I have many blessings in my life, and at halftime I spend all my spiritual energy giving thanks for them. They know who they are, and if they’ve forgotten, I will remind them by asking them to move out from in front of the TV before the second half begins. Since the game usually starts up again before I have time to move on to giving thanks for lesser blessings, it might be good, as I work my way through this least coveted candy (3 Musketeers), to preemptively list the mundane things for which I am thankful this year. I’m thankful for the bountiful Halloween harvest my children brought in this year and that they were raised by good parents who taught them the value of sharing, especially with said parents. I’m thankful Edwards’ frozen cream pies went on sale, thereby assuring the Thanksgiving dessert satisfaction of Big Brother, and to a lesser extent, Buster. I’m thankful there are no more days for Big Brother to ask if we can have the cream pie before Thanksgiving. And then get another one for Thanksgiving, of course. I’m thankful there was a sale on Butterball turkeys, not just the off brand, and that my amazing wife used her top-notch organizational skills to make space in our crowded fridge for it to thaw for three days. Meanwhile, don’t even think about reaching for the I Can’t Believe It’s Not Butter; that’s trapped behind the bird until roasting time. I’m thankful Stovetop Corporation employs factories full of workers who will cut bread into little pieces for me so I don’t have to tear through an entire loaf of bread all by myself to make stuffing, as my hapless ancestors did. I’m thankful for this one meal each year when it is legal to have Stovetop stuffing AND potatoes. Thanksgiving is a day for Turkey and mashed potatoes, parades and football, family togetherness and the alcohol that an entire day confined with family requires. And if there’s any time left over from all of this, it’s the chance to steal a moment to be thankful for something. The Canadians have their Thanksgiving in October. I don’t know if this is because they are more eager to be thankful or because they are hungrier for turkey. Probably both, since nothing builds a healthy appetite faster than digging down deep to cough up a little gratitude. 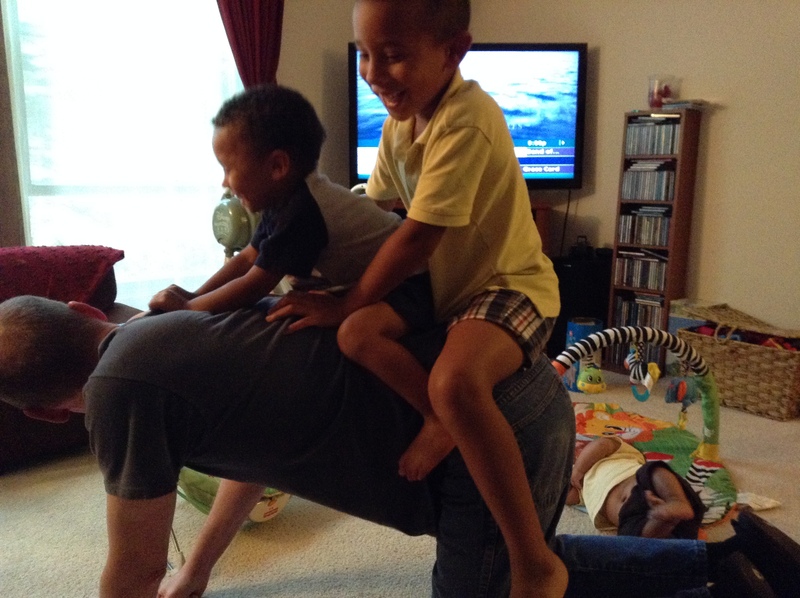 In order to make sure that I have a good appetite for Thanksgiving dinner, I’ve composed a list of things I, as a father of three young boys, am thankful for. I am thankful that our house has lots of wallpaper nobody likes. This makes the crayon drawings on the walls much more aesthetically pleasing. I am thankful that, for going on 10 years now, I have been too lazy and cheap to replace the ugly wallpaper. My plan to customize the existing paper is working out great. I am thankful that babies can get away with mismatched socks as often as every day. New Baby is terrible at organizing his sock basket. I am thankful that we live in an enlightened society where a man can cause a backup in the drive through, estimating the number of McNuggets needed inside his minivan, without being stripped of every shred of masculinity. I am thankful for the following consonants: B, D, M, N, P, T and W. Without them, Buster’s conversation would be completely unintelligible. I am thankful for all the vowels, because no one has to learn how to elevate the back of his tongue to pronounce them. I am thankful for breasts for a multitude of reasons, but mostly because I don’t have to warm them in hot water for 10 minutes while a screaming, hungry baby wails for a little milk over here! I am thankful for any device that helps me shave six seconds off the time it takes to warm a bottle. I am thankful that I have so far been able to avoid any embarrassing outbursts of road rage in the car line at elementary school. It’s so important to set a good example. I am thankful for generous children who are never too hungry to offer Daddy the crust. I am thankful for every day we get through without Caillou. A baby who is a good eater, a good sleeper, and a good smiler. A toddler who is always helpful and quick with a joke. A first grader who adores and protects his little brothers. And the loving mother who brought them all into this world, and would gladly bring more, if old age, poverty, and slippage toward bedlam didn’t stand in the way. That’s a pretty thankful horse, right there.